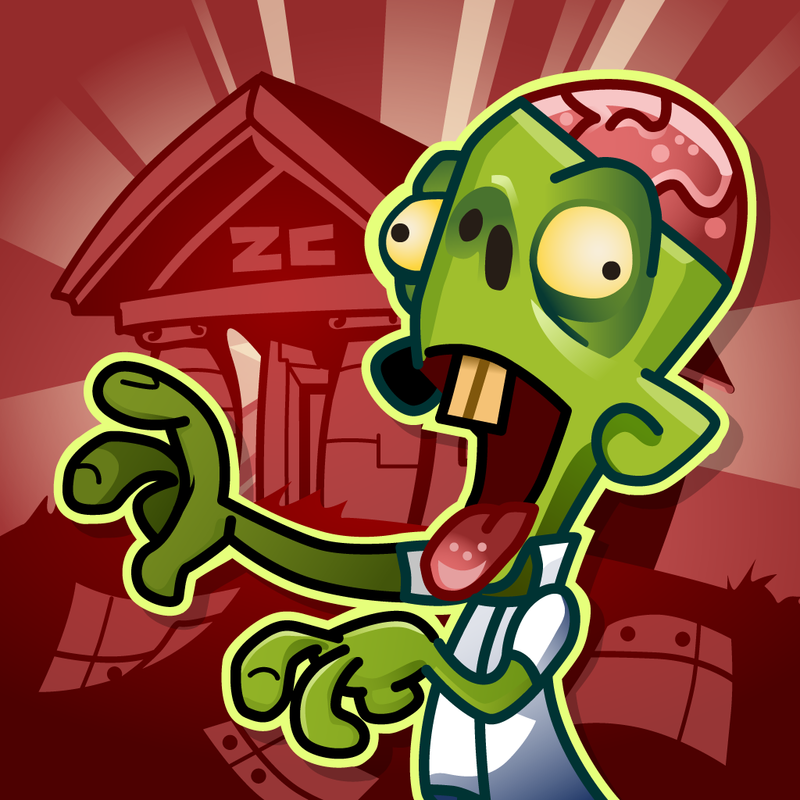 Zombie College (Free) by Detonator Games is an educational app that is designed to help high school students prepare to go to college. Does this mean that adults who have already graduated from college can’t enjoy this game? Don’t be ridiculous. This game is fun whether you’re going back to school or not. 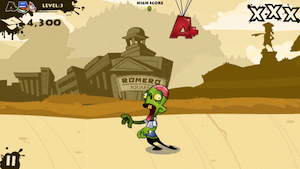 There is a zombie that shuffles along while you have to keep items from hitting the ground. 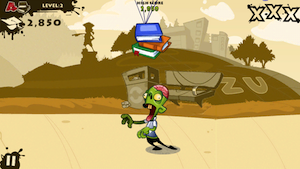 Homework sheets or special items will fall from the sky. Flick them up to keep them off of the ground. If a homework page or special item touches the ground, you’ll get a strike. You get three strikes per level before you lose. 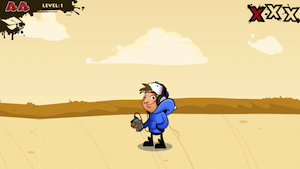 Each level has a set of special items that you must collect to finish the level. These special items include things like good grades, hard classes, and ambition. These items have parachutes attached to them as they fall, rather than floating down like the homework pages. Whenever a new special item is required during the level, there will be more information about it at the end. For example, after having to collect a stack of books that represented harder classes, the app explained that colleges are impressed by advanced classes. 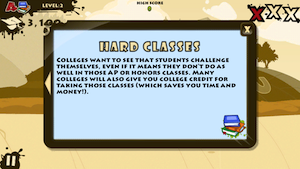 The app uses the special items in the game to explain important concepts about preparing for college. 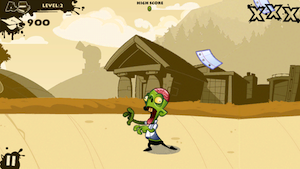 Students get to play a fun and challenging zombie game while learning about what they can do to make the transition easier. What about people who are already done with college? The key concepts that the app teaches are between the levels. The gameplay is still entertaining regardless of the educational theme. 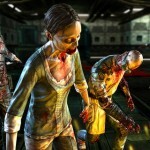 It would still be enjoyable to anyone who loves a good zombie game. There are no advertisements or in-app purchases in this game. It was created strictly for education purposes. It’s one of the few apps that I feel are truly free. I’m going back to school this year after taking a break for a little while. As an adult who has already had some college experience, I still thought that this game was great. I would recommend it to anyone I knew who is preparing to go to college for the first time. 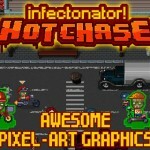 I would also gladly recommend it to my friends who love a great zombie game. 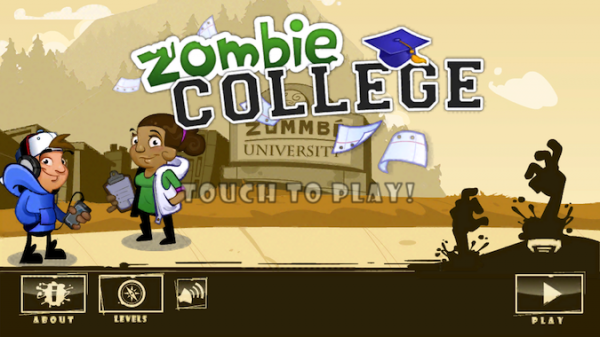 Zombie College is a universal app, and it’s available in the App Store for FREE!